If I ask you to think who would eat crushed bones, tendons and ligaments – what comes to mind? Zombies of course! Collagen is the most abundant protein found in our body. Exclusive to us animal types (sorry trees), collagen is found in all parts of the body, but it is most concentrated in the bones, ligaments, muscles, skin and cartilage. This will sound gross…because it is…but cut an animal open and look around the bones, that is where you will find the most collagen. Some people refer to collagen as gelatin, technically gelatin is just the cooked form of collagen. So, if you hack open an animal, cook its bones, and then eat it – you are technically getting gelatin instead of collagen. Gelatin or Collagen – call it what you like, the whole image of cutting open animals is pretty gross. Why is Collagen Important to Our Health? If you are over 20, it is probably more accurate to say you HAD plenty of collagen. You see, once we pass 20 our collagen levels start to decline. If we had a diet rich in bone broths and animal tendons, then we might very well continue to have high collagen levels later in life. The problem is, most of our diets are not rich in collagen and therefore we do not get the health benefits that collagen provides. So, I Need To Catch A Cow And Chew On Its Bones??? Sure, if you are into that type of caveman stuff. Here at Dirt on The Rocks, we like to roll a little differently. If you add in a really high quality Hydrolyzed Collagen powder supplement into your diet, you can skip the whole ambush a cow and gnaw on its bones thing. Wait, What in The World is Hydrolyzed Collagen? Collagen is a very long chain protein, that is heavy and can be tricky for the body to absorb. Hydrolyzed Collagen is simply collagen that has been put through an enzyme bath that basically pre-digests the collagen. The all natural enzymatic process breaks the collagen down into much smaller amino acid chains and it is therefore much easier for the body to absorb. Just to confuse you, there are a number of different terms you will see that mean the same thing as Hydrolyzed Collagen. These terms include – Collagen Peptides, Collage Hydrolysate and Uber Cool Collagen. Fine, we made that last one up – just wanted to check and make sure you are still with us. Great, So I Just Buy The Least Expensive Hydrolyzed Collagen Powder, Right? NO! In our research here at DOTR we have found vast differences in the quality and bioavailability of different hydrolyzed collagen powders. Some people say, “you are what you eat” – but this isn’t the whole story. You are what your food ate! 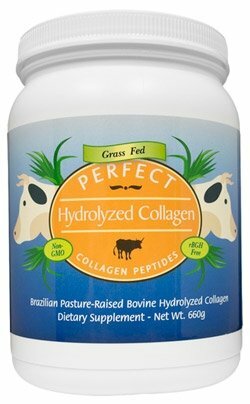 When comparing Hydrolyzed Collagen Powders, you want to find one that is made from pasture raised, grass-fed cows. 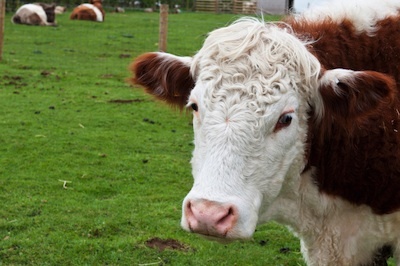 The cleaner and healthier the diet of the cows, the more pure and effective the collagen in their body. If you are going to be ingesting something, do you really want to just take someones word for it when they say it is healthy and free of contaminants? Of course not. You want to see lab tests to show the purity of the collagen and also to show it is free of harmful contaminants. Hydrolyzed collagen powder should be tasteless and easily dissolve in cold or hot liquids. If you mix Hydrolyzed Collagen into a glass of water and you can see it, smell it or taste it – you have a problem. You want to see lab testing showing that the molecular weight of the collagen powder is in the 5,000 Daltons range. 5,000 DA is the sweet spot where you get the best absorption and still have a tasteless collagen powder. Some companies cut corners and look for ways to save money where ever possible. In our experience, these companies never produce the best supplements. You want to find a company that cares about the planet and all people, as they tend to be most interested in making a high quality collagen supplement. Who Do We Recommend As The Best Hydrolyzed Collagen? Regular readers of DOTR know that our philosophy is to teach you how to be an educated consumer when it comes to shopping for supplements. 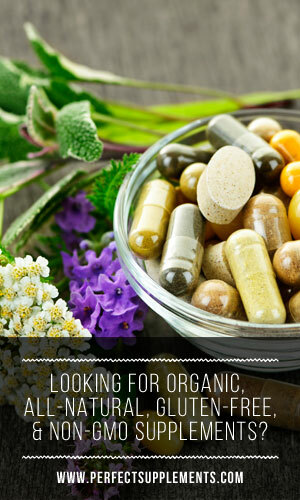 We hope the information above allows you to ask the right questions and find the best hydrolyzed collagen supplement. If your time is short and you want to go with what we use here at DOTR then take a look at Perfect Hydrolyzed Collagen. We strongly encourage you to have a look at the Perfect Hydrolyzed Collagen page as they have all the lab tests and information to back up their claims. We have been using it daily and love it! We love talking health, nutrients, collagen and of course Zombies! If anything was unclear or you still have questions, just let us know.